Prepare favorite dishes with this Premier freestanding electric range that features three 1250-watt and one 2100-watt burners and a spacious oven capacity to suit your cooking needs. The surface element and oven signal lights offer safe use. The Upfront blade-type knob oven controls ensure simple operation with no need to reach over hot pans. Highly visible markings help you set a precise temperature. 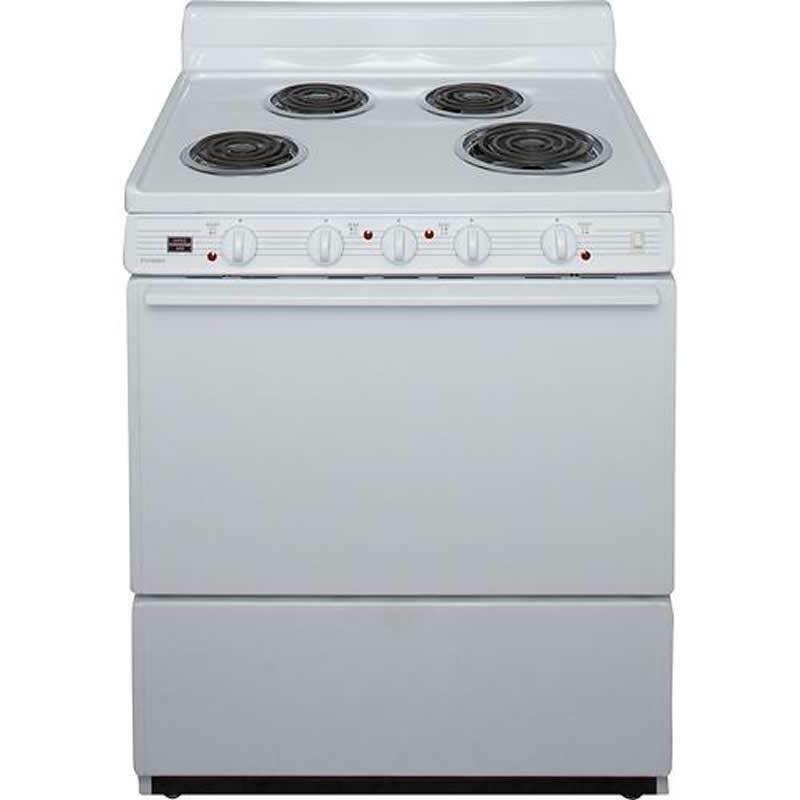 Additional Information Upfront blade-type knob oven controls; Cluster burner arrangement; Variable broil; Oven door seals; 4 surface element signal lights; Recessed cooktop. Burners/Elements Output One: 2100w. ; Three: 1250w. Burner/Element Size One: 8; Three: 6". Warranty 1 year; lifetime: burners.